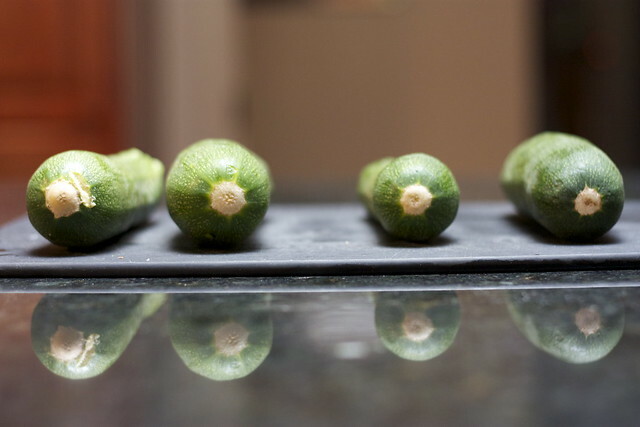 Scoop out the insides of the zucchini to leave a half-inch rim. This was the most difficult and time-consuming step. You may sever one or two... but they're still good! 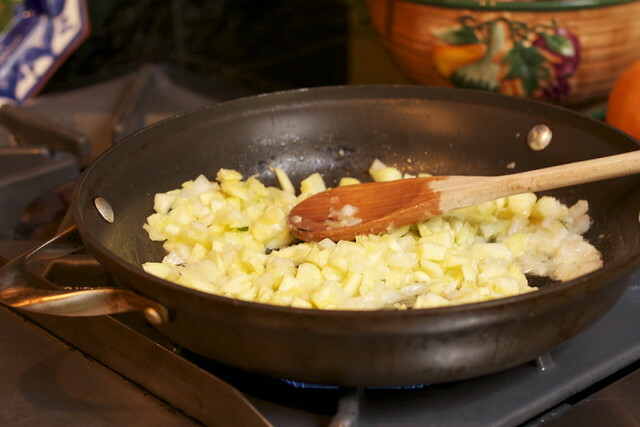 Chop the innards into little bits and cook in butter with onions, garlic, salt, and pepper until onions are soft. Remove from heat. Combine with flour, cheeses, herbs and beaten eggs. 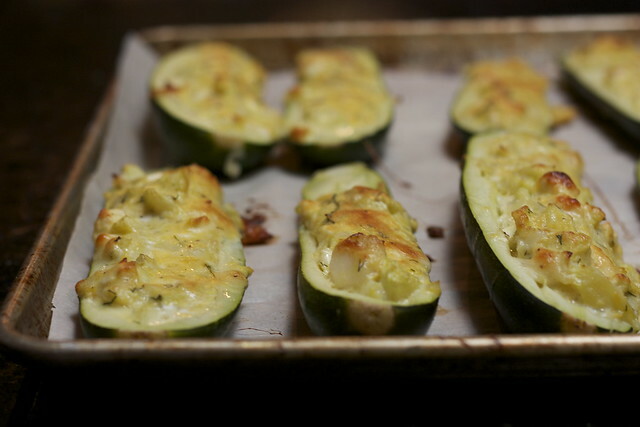 Fill the zucchini and dust the top with paprika. 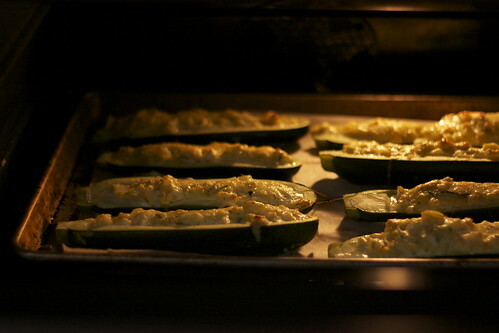 Bake for 30 minutes, or until the filling solidifies and the cheese browns on the top. Enjoy!